How Are German Inheritance Taxes Paid for US Citizens? 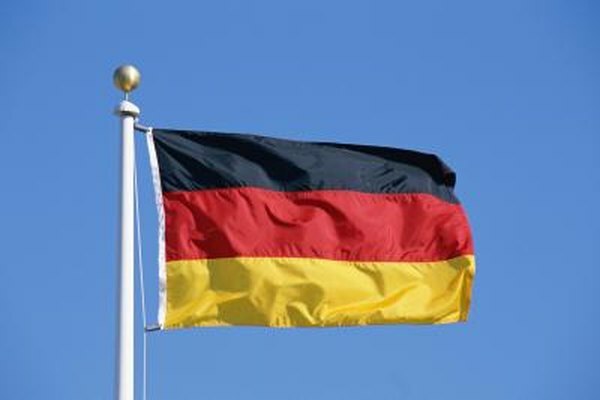 German inheritance laws take precedence over U.S. inheritance laws. 1. Do I Have to Pay Pennsylvania Inheritance Tax if My Relative Lives in Another State? You can inherit assets from a German citizen without being a German citizen yourself. German inheritance laws determine how many of the decedent’s assets you are entitled to receive and how the assets are taxed. Under German law, you have a very limited amount of time to make a claim for your share of the assets. If you fail to assert your right to inherit or wait too long to claim your share, you forfeit your right to take ownership of your portion of the decedent’s assets. German probate and inheritance laws operate under the code of universal succession: As soon as the person dies, the assets immediately pass directly to the heirs. Universal succession eliminates opening an estate and appointing a personal representative or fiduciary to take possession of the assets. If the decedent left a will, the assets are distributed according to the terms of the will. If no will exists, the heirs decide among themselves how to divide up the assets. If disagreements or conflicts arise among the heirs about who gets what asset, an estate is opened to resolve the dispute. Because no probate estate exists to pay the taxes, you are directly responsible to pay the taxes associated with a particular asset if you're an heir. Each heir steps into the decedent’s tax shoes. For example, say you you take ownership of stock shares that the decedent owned. You decide to sell the shares and are responsible for paying the resulting inheritance tax. German inheritance tax rates range from 17 percent to 50 percent, depending on your relationship to the decedent. However, you can use an assortment of allowances and exemptions to lower or eliminate your inheritance tax bill. Under the forced share doctrine, you can lose a portion or even all of your inheritance to a surviving spouse or surviving child. Even if the decedent specifically disinherits the spouse or child, the forced share doctrine allows these relatives to claim up to one-half of the decedent’s assets. However, if the decedent filed for divorce and the surviving spouse was served with the divorce papers before the decedent’s death, the forced share doctrine does not apply. Neither the surviving spouse nor the surviving child can assert a claim against your share of the assets. The decedent’s citizenship at the time of death determines whether you pay U.S. or German inheritance tax. If the decedent was a German citizen, you pay taxes according to German law. To avoid double taxation, you can deduct the amount of inheritance tax you pay to the German government on your U.S. income tax return. If the decedent held dual U.S.-German citizenship, the German courts disregard the U.S. citizenship. You pay tax on the assets you receive according to German inheritance tax law. Can I File Single on My Taxes If I Am Married to a Non-Resident Alien? Is There Inheritance Tax on Life Insurance?